Vinyl Record Personalized Luggage Bag Tag. 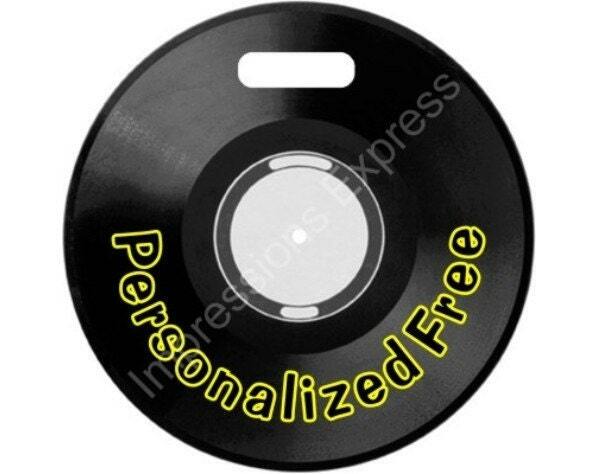 A personalized double sided vinyl record image on a round luggage bag tag. The image on this luggage bag tag is a high resolution image of a vinyl record. "The Luggage Tag is amazing! The shop owner is very kind and willing to work with customers to make a great product." The Luggage Tag is amazing! The shop owner is very kind and willing to work with customers to make a great product.